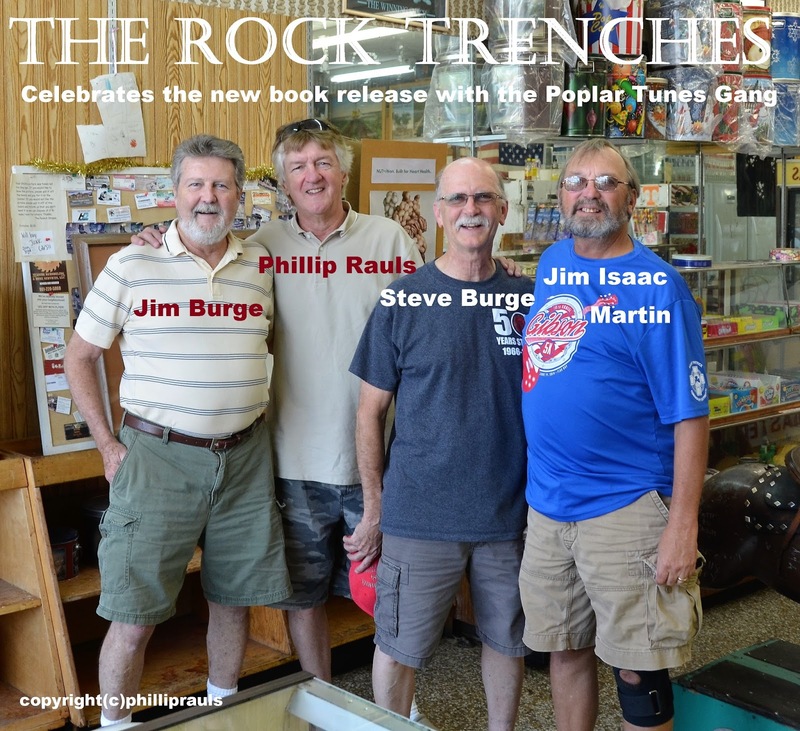 The new book "The Rock Trenches - Journal of a Record Executive" by Phillip Rauls is shown here on a mini-book tour recently in Memphis, TN. If some were not aware or perhaps living under a rock somewhere, Memphis is the distinctive home of Rock 'N' Soul music and celebrated globally for its fine reputation of this genre. Book author & photographer Phillip Rauls says "Hooking-up with old friends and sharing heartfelt stories from The Rock Trenches is a delight for all participants. I'm hearing stories of yesteryear about myself that I didn't even know happened or ever existed!" The book is a non-fiction memoir of music history featuring tantalizing photographs of well-known music icons with behind the scenes tales that will have you on the floor laughing. Published by Mojo Triangle Books and available at Amazon, Barnes & Noble or your favorite book store outlet.